Opening shots create a first impression. They can signify the whole of the film to come or give the viewer a visual vocabulary for interpretation. It’s all been said before… from Fight Club to The Searchers to Touch of Evil. I’d like to submit my favorite opening shot to the discussion, from Mike Mills’s 2011 film Beginners. 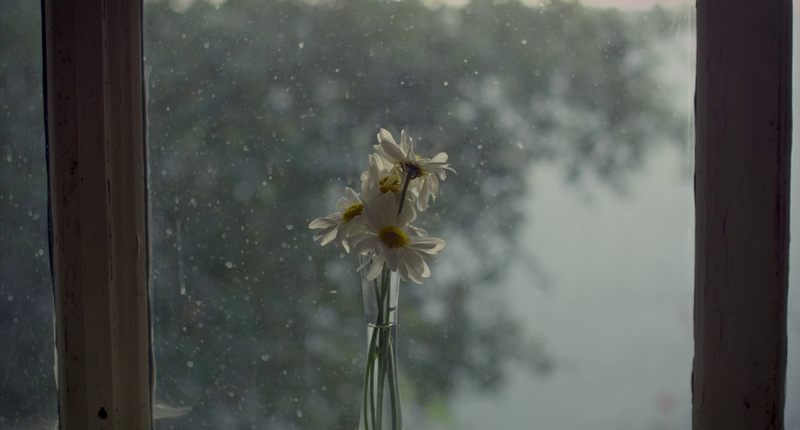 The opening shot: Daisies, in a vase, sitting in the window sill. The film’s first five minutes are among my very favorite, and give the audience everything they need to know about the story to come– all part of Mills’s economy, singular style, and emotional deftness as a writer. After the daisies, the following shots depicts Oliver cleaning his father Hal’s home after his death. Oliver meticulously and silently goes through old clothes in the closet, pours medications down the toilet, takes the garbage out, sorts through files… when he finds his father’s personal ad submission and the film flashes back to the first days of his father’s hospitalization. Beginners drifts easily between three different time periods, following Oliver as he struggles to understand the nature of relationships in the wake of both his father Hal’s death– but also his father’s coming out. A few daisies in a vase. Halfway into the film, Hal brings up the daises as a passing observation. Hal is dying. Oliver has been fluttering around him, trying to get Hal to slow down and relax and stay seated where he can be next to his oxygen tank. But Hal won’t be hindered– he goes into the kitchen, entertains his boyfriend Andy’s ideas of getting back into shape, and makes a pot of tea. The camera pans over to the windowsill, where the same simple vase from the opening sits, containing dead flowers. “Your mother’s vase needs some flowers,” he casually tells Oliver, who watches, distressed. The film flashes back to an earlier conversation between Hal and Oliver, wherein Oliver says to Hal “You need to tell Andy that you’re… not well.” Hal asks Oliver to tell Andy for him. The way Hal asks is simple, as if he’s asking Oliver to do nothing more than get new flowers for the vase. Back in the present, Oliver attempts to have a conversation with Andy. It doesn’t go well, as Andy’s defensiveness about his sexuality overtakes the conversation– he’s interpreting Oliver’s discomfort with his father’s new significant other as a problem with him being gay. Oliver rejoins Hal in the kitchen. “I couldn’t tell him.” Hal smiles and says it’s okay, but Oliver presses the issue– Andy needs to know that Hal is dying. Oliver can see that Andy loves Hal. Hal bites back, “For someone with so much relationship advice, you seem awfully alone.” Oliver, obviously hurt, grabs his mother’s vase and goes out to the garden to pick some fresh daisies. While without the burden of overt symbolism, the flowers and the vase hang around like the elephant in the room. In this scene, Oliver continuously tries to get Hal to acknowledge the fact that he’s dying. The truth is right in front of him– the flowers in the vase are dead. But Hal brushes all the evidence away, looking instead for far simpler solutions. Hal can simply walk away from his oxygen tank. He can continue living as if he isn’t ill. They can get new flowers to replace the dead ones. To Oliver, the vase is representative of everything he finds wrong with his father’s current situation. The vase– his mother’s vase– is a reminder of the new lens with which Oliver must view his parent’s relationship; but, even more so, is a reminder of his father’s impending death. Overall, it’s an oversimplification of a complicated situation. Near the end of the film, after Hal’s death, Oliver describes via voiceover all that you must do following the death of a loved one– the death certificate and cremation and obituary and packing all of their belongings… including a picture of daisies. Oliver then tells the audience how his mother had a framed print of Dorothea Lange’s photo “Mother’s Day Daisies,” and how Oliver used to think it was a picture of him giving daisies to his mother– and later, his mother giving daisies to him, as if to say, “Here. Here’s simple and happy. This is what I meant to give you.” Simple and happy– like a child’s perspective on his parents marriage, and a life uncomplicated by death. The film ends with two sequences. In the first, Oliver reconnects with Andy, and admits his qualms with Andy and Hal’s relationship had nothing to do with them being gay, but with how “simple and happy” their relationship was, despite obstacles Oliver couldn’t comprehend looking past. In the second, Oliver and his girlfriend Anna reunite. They look at Hal’s personals ad, a sweet and straightforward capsule of Hal’s desire for a loving gay relationship. Anna is touched: “He never gave up.” And neither will Oliver and Anna, as they embrace their relationship without a clue of what to do next. The film begins much like the Dorothea Lange photo, offering the audience a handful of flowers. The daisies in the vase, cheerily sitting in the glow of the windowsill, beautiful now but inevitably wilting in the future, become a synecdoche of the film. Life and relationships aren’t just simple and happy. There’s confusion and denial and the complexity of identity, history, and the changing nature of love, as well as the certainty of death. But what Oliver comes to learn from Hal’s final years is that, amidst all of those things, simple and happy moments can exist– Just like daisies in a vase– and that’s what makes it worthwhile.